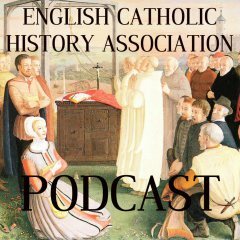 The English Catholic History Association have launched a series of podcasts which are available in the iTunes Store. By subscribing to this free podcast you will be able to download the talks to a media player of your choice. In the forthcoming months they will be sending each talk to the podcast on a weekly basis. The current podcast is described below and they all can be found by following this link. Michael Hodgetts reviews the 300 years of liturgical practice of Catholics under penal conditions in England from the mid 1500s to early Victorian times. Music, missals, primers, chapel architecture and decoration, official and unofficial records of one sort or another, contribute to our knowledge of the quite elaborate rites that took place in wealthy country houses, despite unfavourable circumstances. We also get an impression of the secrecy and isolation under which priests laboured in order to bring the sacraments to Catholics in towns and villages.